My mom made this super duper simple pattern for shorts to send to Haiti. We love receiving dresses for the girls, but it would be awesome to get more shorts for the boys too. This is a great pattern for beginners. Maybe you have a daughter who wants to try her hand at sewing. This is a great place to start. 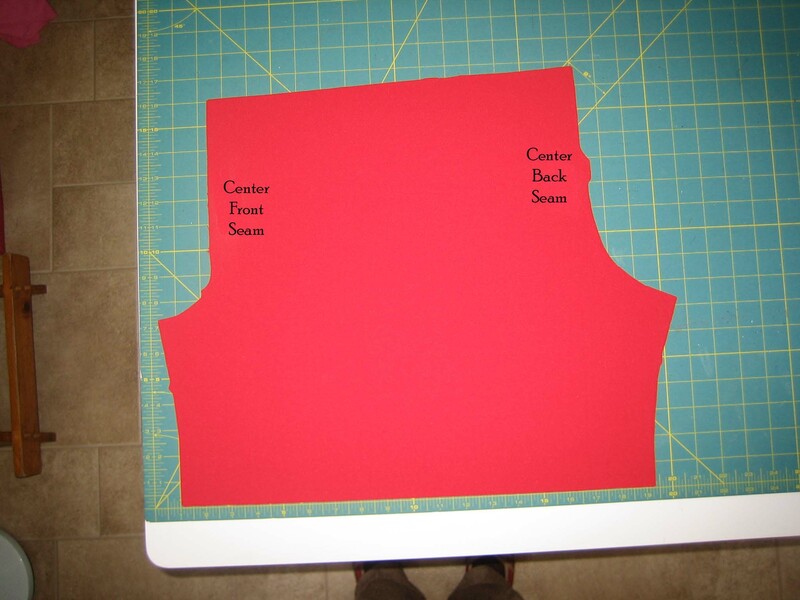 Step 1 – Fold your fabric, so you have a double layer and cut two identical pieces at the same time. 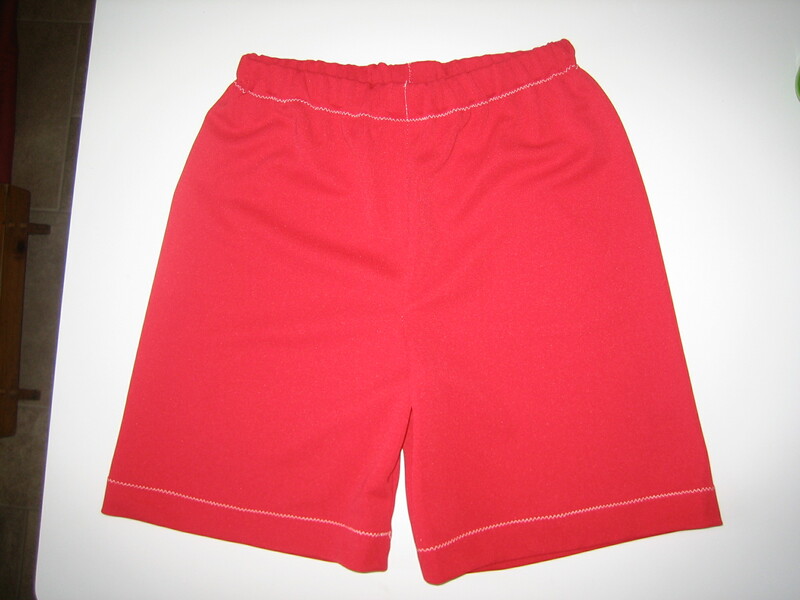 These size 6 red shorts are on a rotary board with inch markings so you can see how big to cut your pieces. 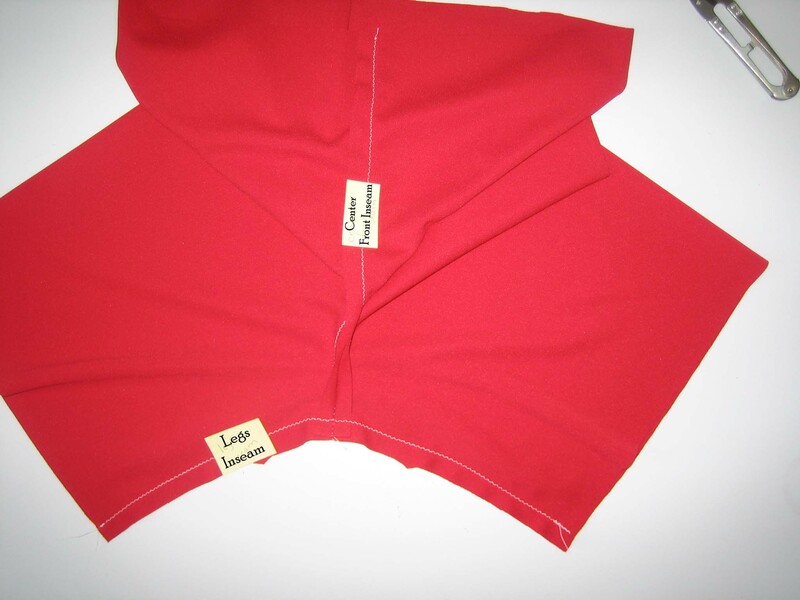 Sew zig-zag inseam with a 5/8” seam allowance. 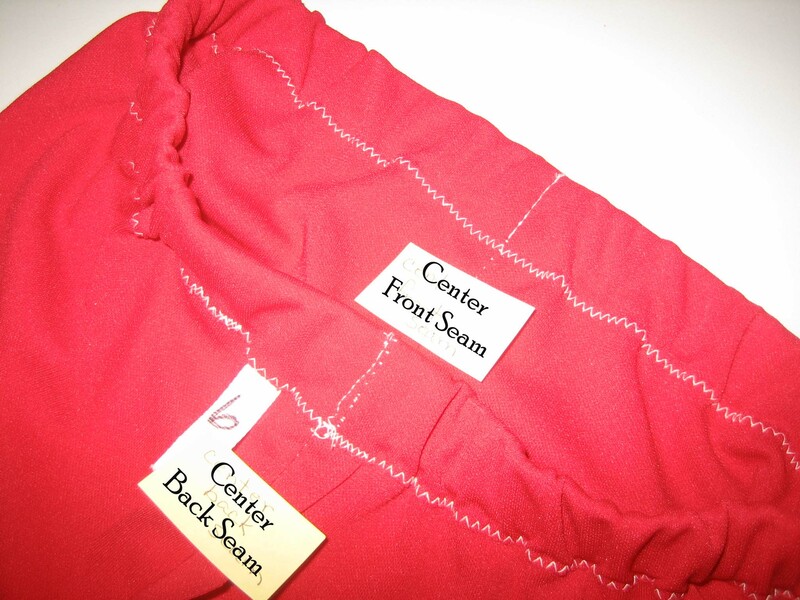 Using ¾” wide elastic, cut a 18 1/2″ piece. 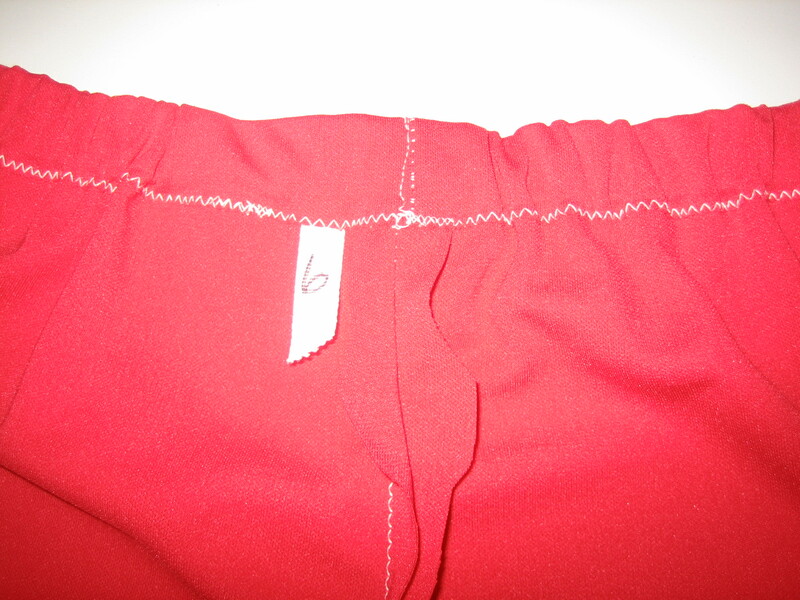 Attach a safety pin to one end and pin the other end to the shorts. Work the elastic through the casing. 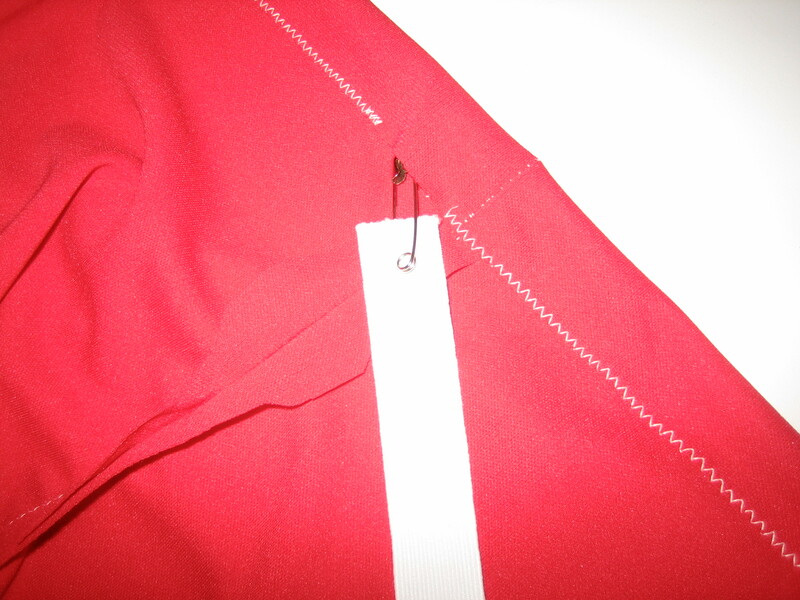 Pin the two ends of the elastic together and sew them back and forth several times with a zig-zag stitch. 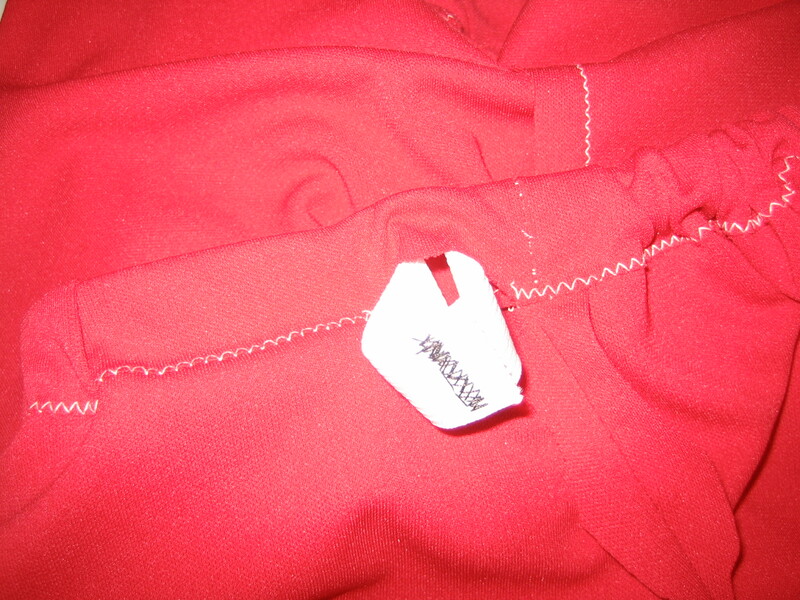 Add a size tag, and sew up the open part of the casing. 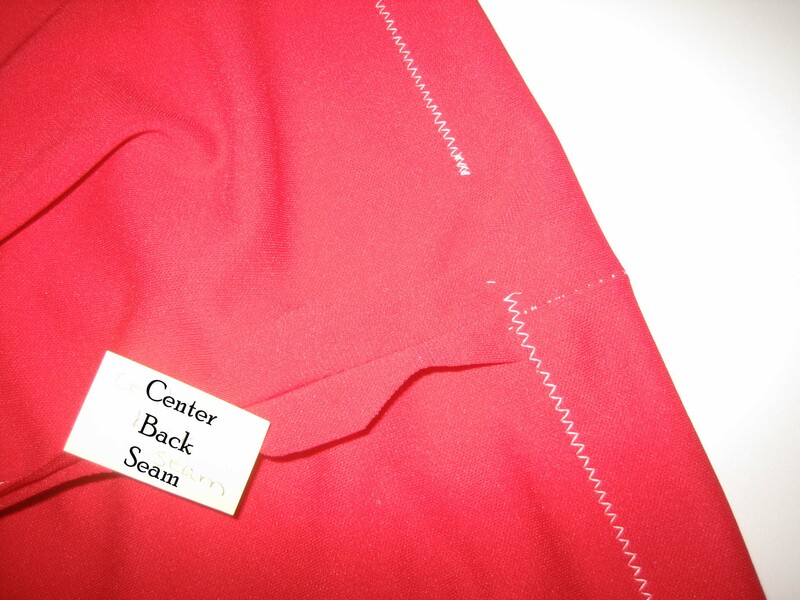 Optional – Sew a straight stitch on the seam line of the center front and back seam through all layers to keep the elastic from twisting. Press a 1” leg hem. 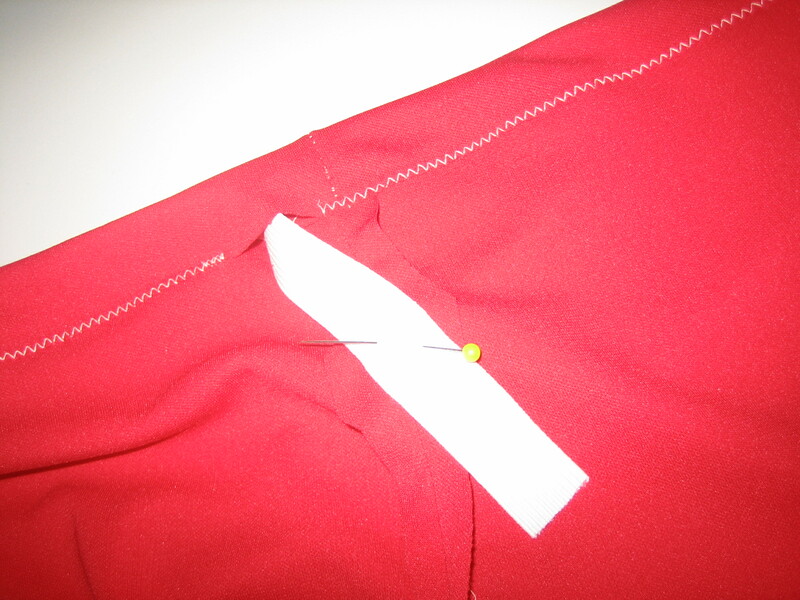 Sew around each leg, close to the upper edge of the pressed hem. See, wasn’t that easy? I am not a great seamstress, and I can whip up a pair of these pretty quickly. 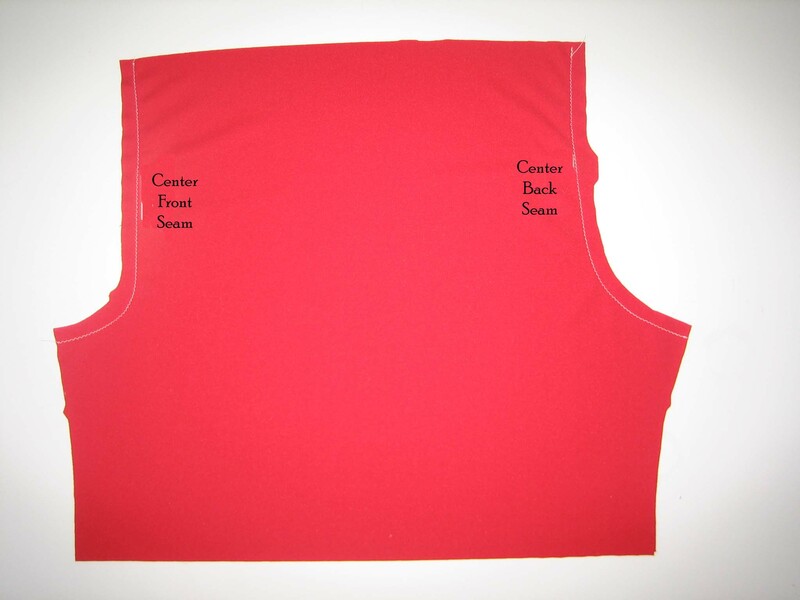 These directions are meant for use with knit or athletic shorts type of fabric. If you are using cotton fabric, you can use a straight stitch instead of a zig-zag. 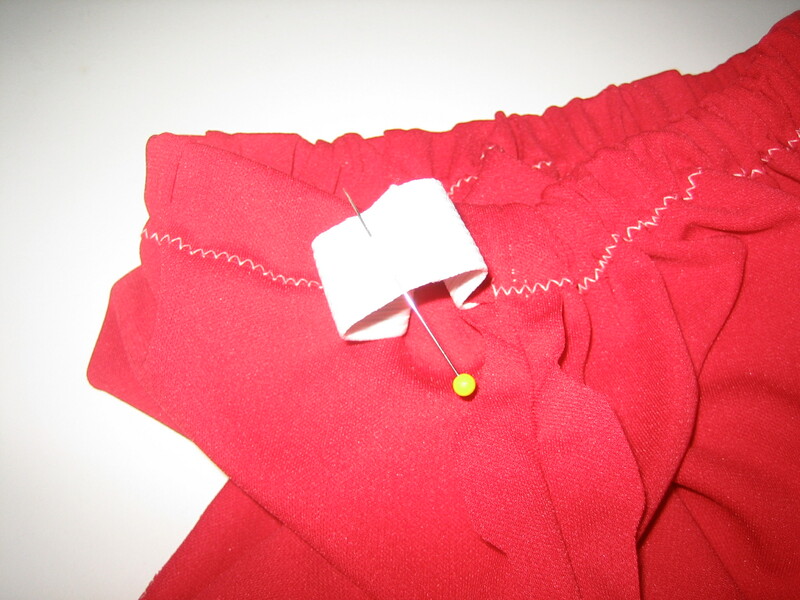 You will also need to turn under the waist and the hem ¼” of an inch and then turn under again the amount specified in these instructions to keep the fabric from unraveling once the shorts are completed.